The clearly lolz-inspired &apos;gram was (of course) captured by The Shade Room, apparently prompting an equally lolz-inspired response from Rob himself. 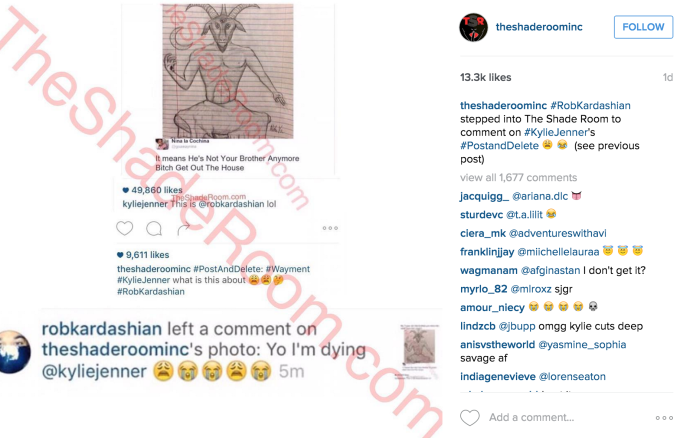 However, dedicated Instagram comment warriors aren&apos;t very interested in the joke&apos;s potential place in the saga of Blac Chyna. Indeed. These are actual comments from actual human beings. In related news, Kylie was here.